Home » Hemp, Hemp Hooray: It’s National Hemp Day! Hemp wasn’t always federally regulated and heavily controlled, you know. In fact, hemp has quite the colorful history. One that’s spanned thousands of years in most countries throughout the world. Not only have most cultures around the world used hemp for all kinds of purposes throughout time, but they’ve all held the plant in extremely high regard as well. It’s actually been less than 100 years that hemp’s been hiding in the shadows, which isn’t very long at all when you consider it’s been an integral part of mankind for some 10,000 years. The earliest recorded use of hemp dates back to around 8000 BC, where hemp fiber was found in a piece of pottery that was excavated from an ancient village in what’s now modern-day Taiwan. In the Atharvaveda, one of the ancient Hindu Vedic sacred texts, hemp is listed as one of the five sacred plants of India. Believed to be one of the world’s first cultivated crops, hemp has actually long been considered one of the most significant agricultural crops of mankind. In 1977, Carl Sagan even suggested that Cannabis sativa likely led to the development of civilization itself. 1942: “Hemp for Victory” program set up by the USDA, which encouraged farmers in the Midwest and Southeast to cultivate hemp to support the war. Hemp was once considered the most important crop in history for good reason. Some might even say that hemp is the tree of life itself. While this is certainly debatable, there’s no denying that hemp is one of the most beneficially versatile plants that has ever existed. Seriously, is there anything hemp can’t do? What exactly makes hemp so amazing that some consider it the most important plant on the entire planet? Did you know that hemp is grown in over 30 countries where it’s produced into countless different commercial products? According to the National Advisory in Hemp and CBD (NAIHC), over 25,000 different products can be made from hemp. We can’t think of any other plant (or anything else on earth for that matter) that can do the same! What exactly are the many uses of hemp? As it turns out, they’re practically endless. Check it out. Food and Beverages: Nutritionally, the fatty and amino acid profiles of hemp are identically aligned with human DNA, offering omegas, protein, and dietary fiber that perfectly fits our own needs. Considering that hemp has such a unique nutritional profile, it’s got an unprecedented ability to be made into some pretty amazing foods and drinks. Hemp seeds, hemp flour, hemp burgers, hemp seed oil, hemp protein powder, hemp milk, hemp seed butter, and hemp beer (yes, it’s a thing) can all be made from this fascinating plant. Clothing and Accessories: Hemp fiber has been used to make clothing for thousands of years. While some people might think of hemp clothing as something reserved for bohemian counterculture, hemp fabric has been something embraced by some of the world’s top designers for years. Hemp Adidas, anyone? Some of the most popular clothing and accessories made from hemp include: shirts, dresses, pants, shoes, flip-flops, sunglasses, ski and snowboard goggles, and more. Beauty Products: Hemp beauty products have become increasingly popular since the late 1990s. While once reserved in a small section of select health food stores across the country, hemp beauty products have begun to step up in status. 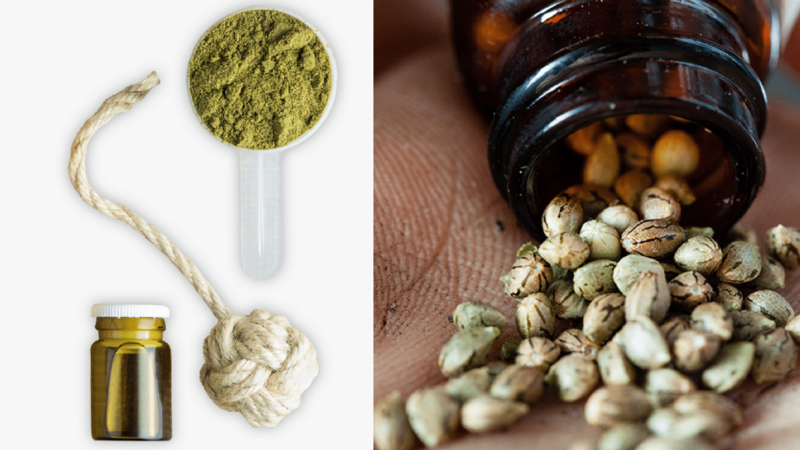 Since CBD has become the most popular supplement to hit the natural health scene since pretty much ever, hemp beauty products are more popular than ever. Health Products: Hemp has been used as a health aid for centuries. According to Chinese academic, botanist, and researcher Hui-lin Li, “The use of cannabis in medicine was probably a very early development. 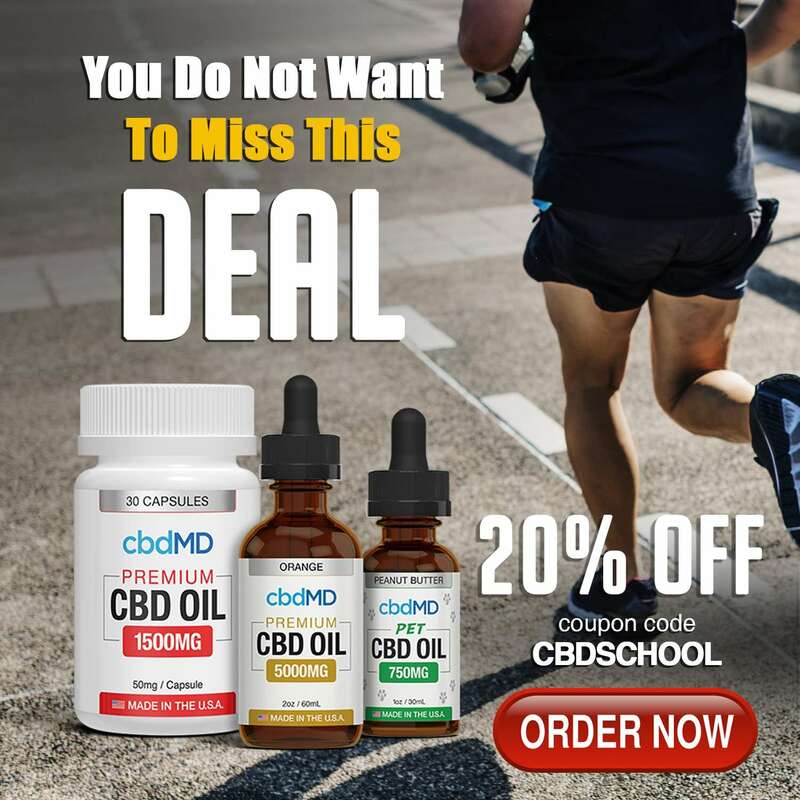 Since ancient humans used hemp seed as food, it was quite natural for them to also discover the medicinal properties of the plant.” Fast forward to the modern era and the use of hemp for health is exploding through the vast array of CBD products that can be found in the ever-expanding CBD market. Fuel: It’s suggested that we will run out of fossil fuels before the 21st century is over. Hemp, however, could help. Some say that one acre of hemp can produce the same amount of energy as 1,000 gallons of gas. Could hemp save the impending gas crisis we face? Maybe. Hemp can, after all, produce two types of fuel: biodiesel and ethanol. Paper: Over a cycle of 20 years, one acre of hemp can produce as much paper as 4-10 acres of trees. Over the past 40 years, the world consumption of paper has grown 400 percent, and it’s estimated that 35 percent of total trees cut around the world are used to make paper. While making producing paper from hemp might not save the world, it could certainly help. Hemp Plastic: Were you aware that 8 million metric tons of plastic ends up in the world’s oceans each year? While hemp plastic hasn’t exactly caught on, it offers a durable and eco-friendly alternative to the world’s plastic problem. Interest in hemp plastics are on the rise, and perhaps hemp could one day replace plastic altogether. Soil Cleanup: Hemp is known to absorb anything in the soil it’s planted in, which is a process known as phytoremediation. Hemp is so adept at cleaning up soil that it was planted in abundance at the Chernobyl nuclear disaster site to pull radiation from the soil. Hempcrete: Move over conventional concrete. Hempcrete is the new builder on the block. Made from the inner, woody core of the hemp plant, hempcrete is not only about 1/8th of the weight of conventional concrete, but its amazing at insulation and can reduce energy costs some 50-70% each year. What are Some of the Problems Hemp Could Potentially Solve? Now that you’ve got a better idea of just how many things hemp can be used for, it’s easy to see how it could potentially help solve some very serious problems. Some even say hemp could just save the world. UCLA researcher and biochemist, R. Lee Hamilton once honored hemp for its “life-giving values”, suggesting it could be the answer to ending world hunger. Recent research suggests hemp could help save the bees. Hemp can be used to make biofuel and offers an alternative to rapidly decreasing fossil fuels. The cultivation of hemp for paper could help reduce deforestation. The transition to hemp paper could literally save thousands of acres of trees, ultimately saving the planet itself. Hemp could replace cotton as a more sustainably cultivated crop for fiber. Get this. It can take more than 5,000 gallons of water to produce 2.2 pounds of cotton, while it takes roughly 600-900 gallons of water to produce 2.2 pounds of hemp. Hemp. It could save the bees, save our trees, keep plastic out of our oceans, provide an alternative to fossil fuels, possibly end world hunger, and more. Is there anything else (plant or otherwise) that exists that can boast the same? Over the past few years, hemp has made a serious comeback. Why, after all the years of repression, is hemp suddenly in the spotlight? Honestly, it’s got a lot to do with CBD. When CBD was discovered to be somewhat of a “miracle cure” for seizures associated with rare forms of epilepsy, CNN ran a story in 2013, and interest in the cannabinoid exploded. 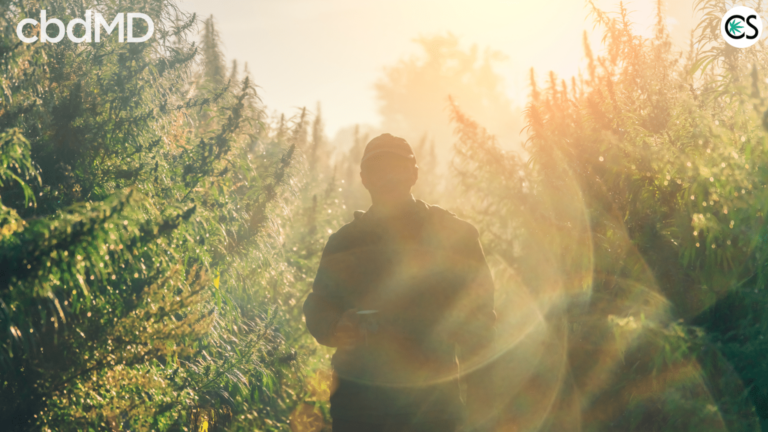 The 2014 Farm Bill paved the way for increased hemp production and research. Fast-forward some five years later, and hemp has (again) become a household name. When the 2014 Farm Bill was passed, hemp production started slowly, with 33 acres planted in Kentucky. By the end of 2018, 78,000 acres of hemp had been planted nationally. The top producers? Kentucky, Colorado, and Oregon. It’s estimated that the global industrial hemp industry will reach $10.6 billion by 2025. 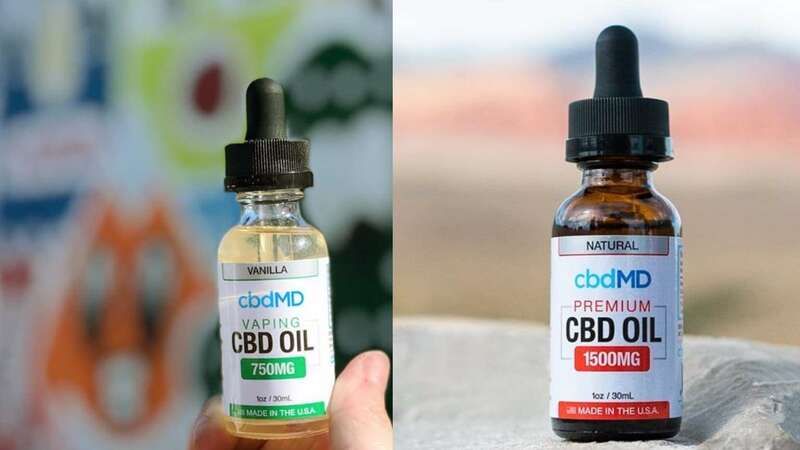 According to the Brightfield Group, the hemp CBD market is “growing at a breathtaking pace.” Brightfield is the most bullish prediction group — their call being that the CBD industry could be worth $22 billion by 2022. If this is indeed the case, the comeback of hemp will be bigger than anyone could have ever expected. On this National Hemp Day we’ve truly got something to celebrate. For the first time in almost a century, hemp is legal in the US. And it’s projected to be a multi-billion dollar industry that holds the potential to save the planet. The future of hemp in America (and the rest of the world) looks bright. After years of repression, hemp has finally made a well-deserved comeback. The passing of the 2018 Farm Bill that legalized hemp (signed with a hemp pen) permitted the cultivation of hemp in all 50 states. This includes flower production, CBD extraction, and other cannabinoid extraction (minus THC). We believe a big part of hemp’s future (aside from saving the bees, reducing deforestation, cleaning up contaminated soil, replacing plastic, and offering alternatives to fossil fuels) is in CBD. From all of us at CBD School, we wish you a very happy National Hemp Day. With the national legalization of hemp, this year seems a bit more special than the rest. Click here to get 25% OFF your full order at cbdMD in honor of National Hemp Day!